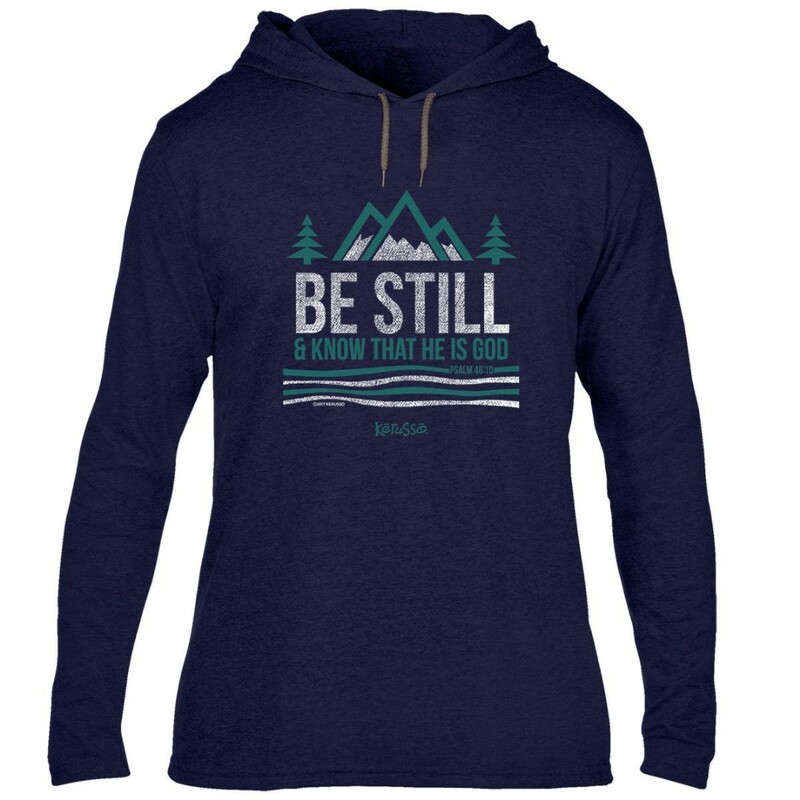 Quiet your heart and mind and ponder the majesty of God’s goodness in this “Be Still and Know” Hooded Tee by Kerusso® in classic Navy. We serve a mighty God who created the mountains, the ocean depths, the sky itself, and every living thing...and amid this splendor and the mighty work of His hands, He wants to know you personally. To gain an audience with the King of kings, all you need do is ask. Turn off the noise of your busy life and spend time in God’s presence. Reach out to Him in prayer and invite Him to speak to your heart. We keep ourselves busy with tasks and worries that, all too often, matter little from an eternal perspective. Set aside time to communicate with your heavenly Father—and to think on the good things He has done for you. Psalm 46:10 says, “Be still, and know that I am God; I will be exalted among the nations, I will be exalted in the earth.” Slow down! Take time to read the Bible, to speak to God in prayer, and to worship Him. He created the universe and everything in it—and still, He longs for a personal relationship with you. Our God is indeed an awesome God! Be Still And Know Hooded T-Shirt, Small was published by Kerusso in August 2018 and is our 50612th best seller. The ISBN for Be Still And Know Hooded T-Shirt, Small is 612978461341. Be the first to review Be Still And Know Hooded T-Shirt, Small! Got a question? No problem! 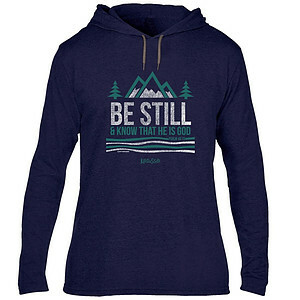 Just click here to ask us about Be Still And Know Hooded T-Shirt, Small.